Mars will stick to the traditional Super Bowl ad reveal during the Big Game broadcast reports AdAge. Mars will again run a M&M's Super Bowl ad like last year. 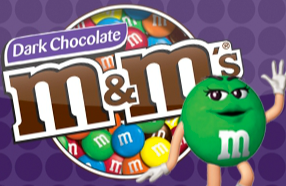 The M&M's Super Bowl 2013 Ad will not have the benefit of the social media buzz before Super Bowl Sunday. For some this is great news. On the other hand the real way of creating social media buzz without taking away the surprise is to release ads that set the stage for the actual Super Bowl ad. This is what Volkswagen did last year. The Dogs barking the Star Wars theme when viral and reached 3 million views in 2 days. The actual Volkswagen Super Bowl 2013 Ad was very different, but had a Star Wars angle.